Huizhou Woodcarving boasts the most exquisite craftsmanship representative of the "Four Huizhou Carvings" -- carvings of stone, brick, bamboo, and wood -- renowned in China. Huizhou, located on the southern tip of East China's Anhui Province, abounds with quality timber that is commonly used for brick-wood constructions. Such an abundance of natural resources has also been valuable material for gifted artisans. In the old time, the local residential houses featured largely delicate woodcarvings, which could be seen almost everywhere ranging from the eaves above the gate to the socle (pedestal-like) beams, from the handrails of stairs to the window screens or archways. Besides, the carvings also served to decorate household furniture like beds or chairs. As one of the independent schools of Chinese artisanship, Huizhou Woodcarving dates back to the Song Dynasty (960-1279) and took shape in the early Ming Dynasty (1368-1644) when the carving style was characterized by straightforward basso-relievos. After the middle of the Ming Dynasty, ancient China saw a rapid development of the Hui (Huizhou) business community that later dominated the Chinese business world up until the 19th century. The huge amount of wealth accumulated by the Hui merchants was transformed into numerous townships and a boom of residential constructions. 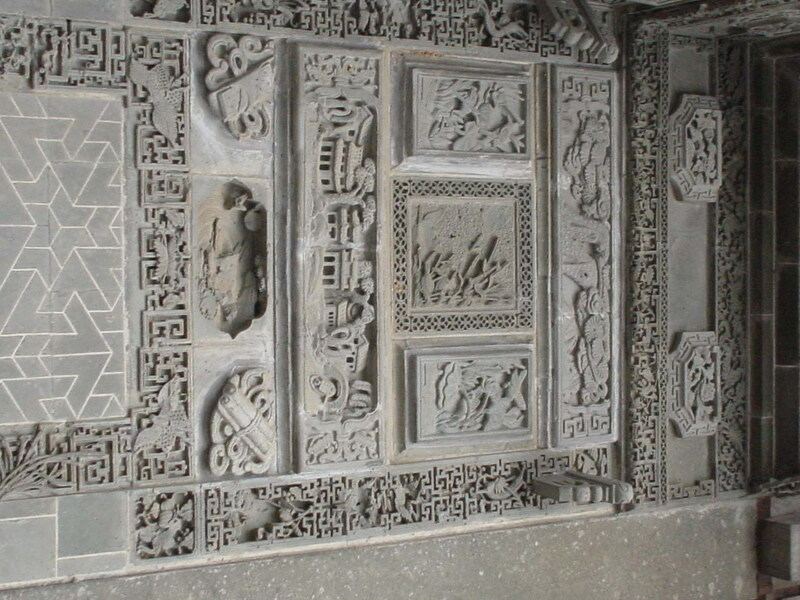 In consequence, it helped cultivate the consummate handicraft technique of woodcarving, which constituted an integral part of the unique style embodying Huizhou architecture. By the 17th century, the former carvings in low relief had gradually shifted to exquisite high relievos. The Qing Dynasty (1644-1911) witnessed the heyday of Huizhou Woodcarving, in which the function of aesthetic ornamentation predominated over its practical values. The "Hui" woodcarving skills have since become popular around China and remains popular even nowadays. Huizhou Woodcarvings are made of quality timbers like cypress, catalpa, firry, and maidenhair trees. In order to manifest the superb material, the carved articles are commonly unvarnished and thus present their elegant luster in nature. Besides, the unembellished technique well protects the engraved delicacy from spoilage and gives the best view of the perfect workmanship of the artisans.